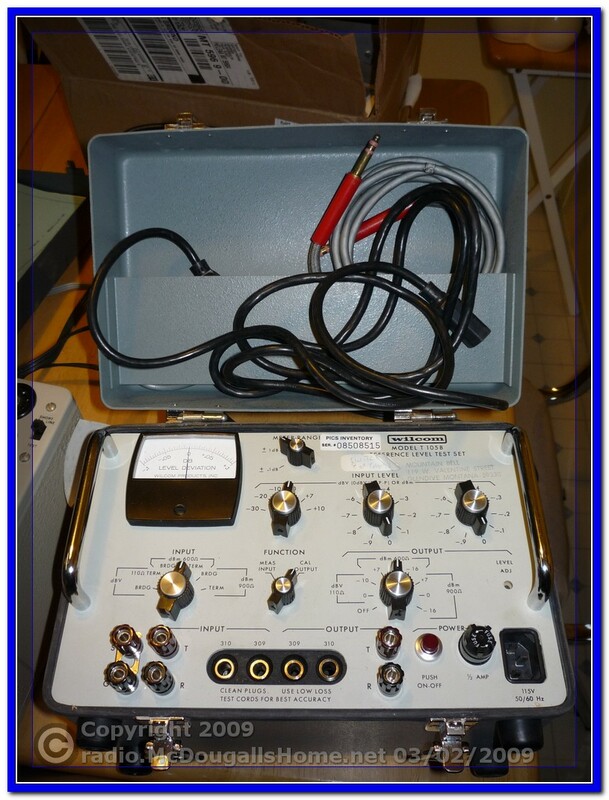 I am susbcribed to the QRP-L mail list. 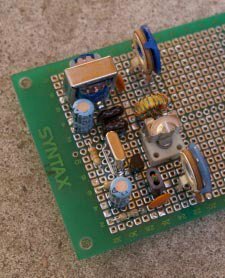 The discussions on the list are usual QRP variety with a sometimes off topic post or two. The last couple of days, an interesting flair-up of off topic posts about “Earth Hour” and “Earth Day”. It has been an interesting topic to follow. Today, Dave, N0IT sent a great post that about sums up the whole deal. I attended the first Earthday Celebration at Northwestern University in 1970. What a joke! For all the hyperbole about the world coming to an end for this reason and that, non of the calamities the alarmists preached about almost forty years ago ever occurred. Oh yeah, that same year Time Magazine ran a cover story about the new ice age and global cooling. Couldn’t sell that so they switched around and tried global warming. If there was no money in this for the alarmists, for the scientists “investigating” it, the alternative energy companies that are economically untenable without government subsidies, the governments that drool over the tax revenue from cap & trade, and foremost money for the UN and third world politicians who hope to benefit from “our guilt”, there would be no talk of global warming. Money and control are what is behind climate change paranoia. Enjoy being duped, go right ahead and send your money to the UN. Leave ours alone. Whenever a little greenie college kid comes to my door to tell me how bad things are today, I laugh in their face. When I was a kid you couldn’t breath when driving near Gary Indiana even with the windows up and the vents closed. And as far as water is concerned, Cleveland I believe had a river that caught fire because of all the pollution. Tell me with a straight face that we are destroying our environment and I will laugh in your face. If you folks destroy our economy and democracy with your pseudo religion, then your kids and grandkids will be the big losers. 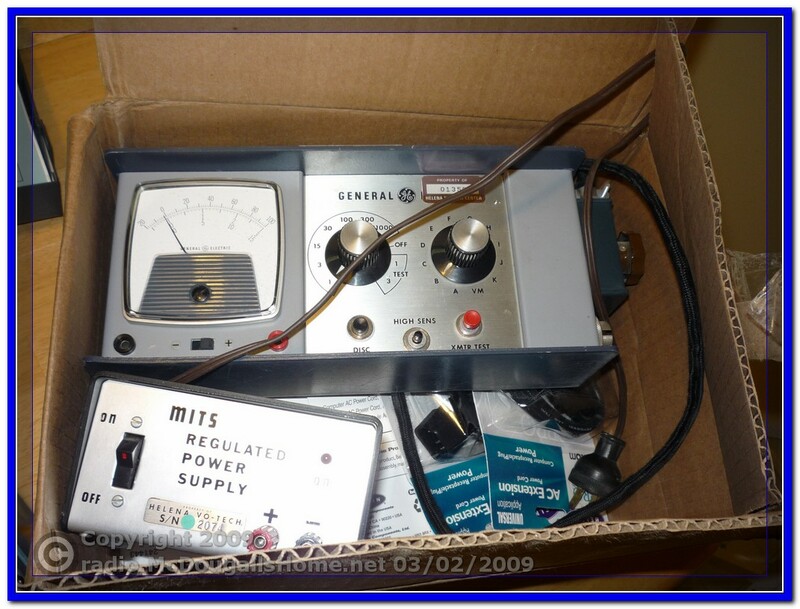 > > late!Have a nice Earthday,and long live QRP!72/73 de Ed N7EDK. N7ZWY's prototype of the Gnat 1. About two square inches. Here is a little project I am excited to build. The Gnat 1 by Chris Trask – N7ZWY. It is a ONE transistor CW TRANSCEIVER. I’ve seen other one transistor transceivers that employ a multi-pole switch or relay to toggle the transistor between the transmitter and receiver, but this one is unique in that it employees neither of those schemes. The key itself switches it from receive to transmit. This should be fun. If I am successful (or not), I will post about the fun time I have with it. I just received some crystals in the mail today, so my attempt at this little project will be for the 80 meter band. 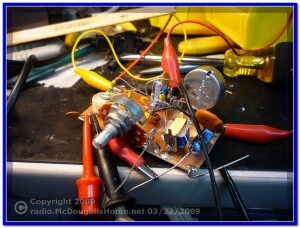 Check this little project out and warm up your soldering iron and give it a try. It will be FUN! 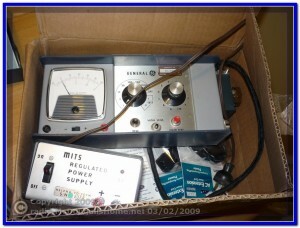 Our local radio club, Capital City Amateur Radio Club, (http://w7tck.org) was donated a bunch of equipment. We decided to have a silent auction for it for the club members. The idea was to allow members to obtain some equipment inexpensively rather than try to make a bunch of money off of it. Here is my windfall. WOW! What Fun! Click to see a slide show of my new equipment. Click a picture to see a larger view, or click HERE for a slide show of my new “Junque”. 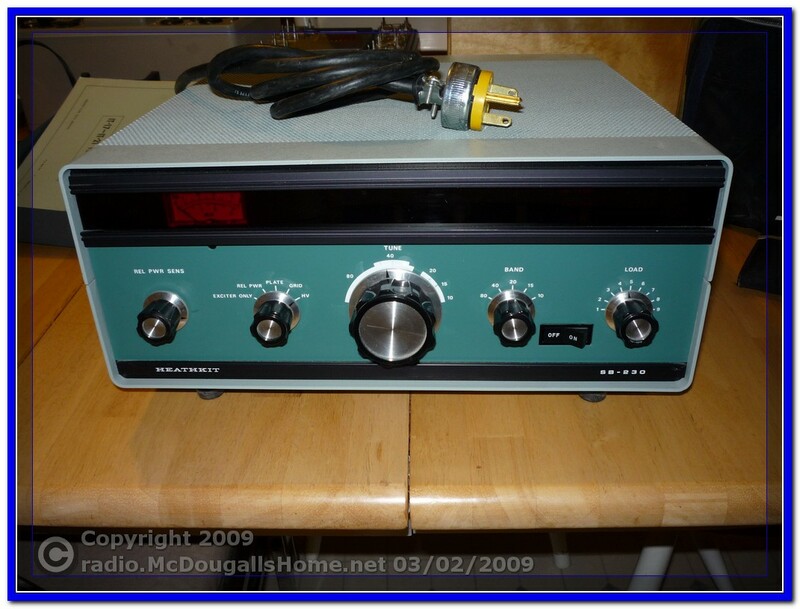 My favorite acquisition was this beautiful Heathkit SB-230 Amplifier. When I built my shack several years ago, I plumbed into it 220 Volts for that day that I may have an amp. It is about 1 KW input (probably about 600 Watts output), but that is very sufficient for me, since I operate in the QRP range much of the time. This will be fun too though! 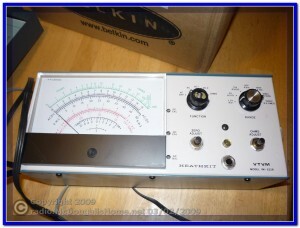 Look HERE to see my Ham Shack equipment; and you will see that I like Heath gear. 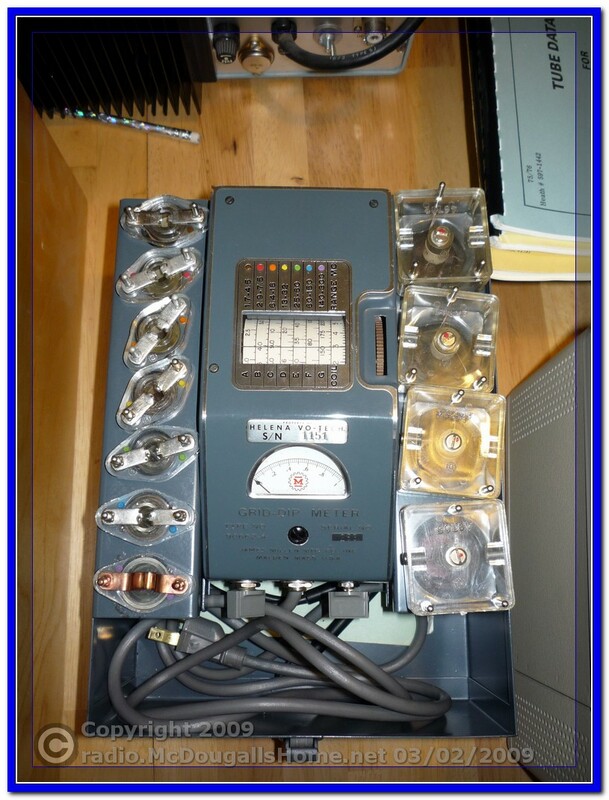 The photo below shows an old Heathkit Impedance Bridge. At first, I was hoping it would be an instrument I could use to measure impedance of RF circuits, but it is usable at audio frequencies. Non the less, it is a beautiful instrument with a wooden case and will sit up on my shelf with my other vintage items. 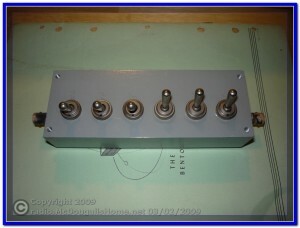 The photo below is of a James Millen model 90662-A Grid-Dip Meter. 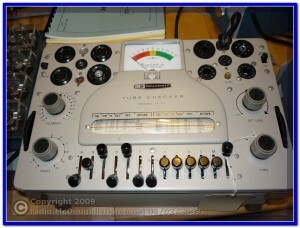 It is in perfect shape and is a very beautiful piece of test equipment. I have a much older Heath grid-dip meter that I have been using that I will be glad to put up on the antique shelf, and put this beauty to use. It is really a nice piece of test gear and a welcomed addition to the Ham Shack. 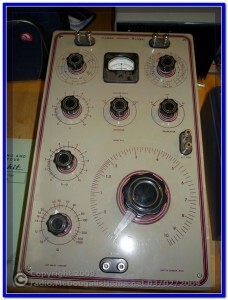 The picture below is of a Heathkit Tube Tester model IT-17. 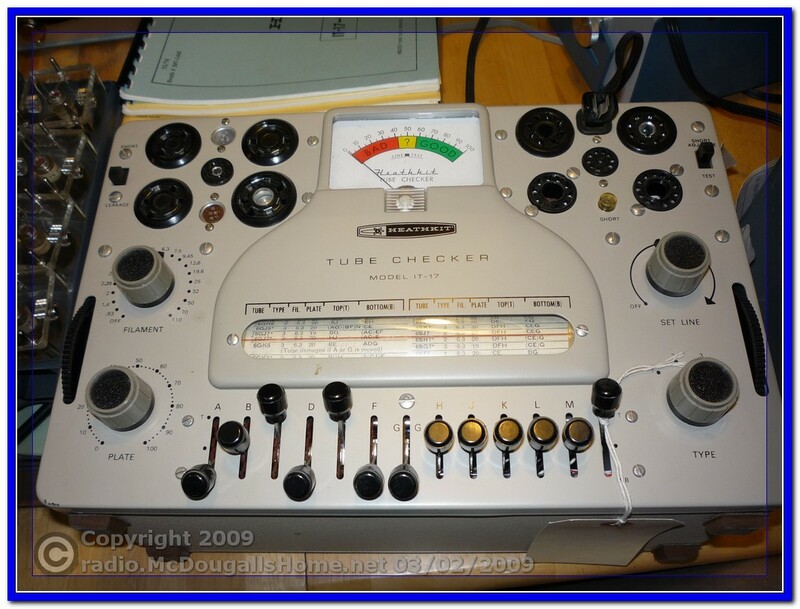 I have wanted a tube tester for many years, and passed up an opportunity to acquire one a couple of years ago and have been beating my self up over it ever since. 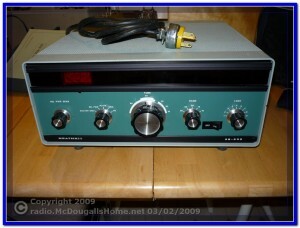 Since I have vacuum tube equipment, this will come in handy at that time in the future when it will be needed. Tube testers are becoming increasingly rare and I am glad to add this one to my test equipment collection. 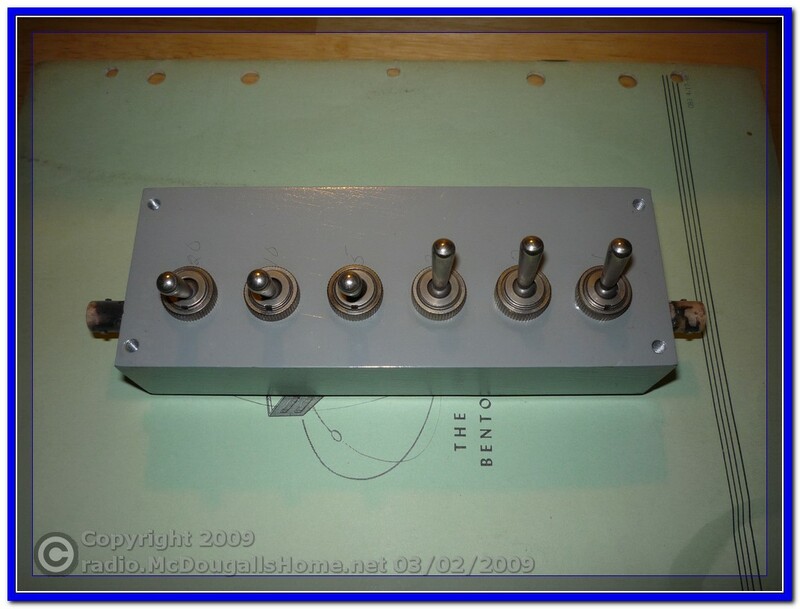 The picture here, is of a Step Attenuator. I have been thinking about either building, or purchasing one of these for a while now. Of all the pieces of test gear I purchased in this sale, this is probably the most practical. I am eager to put it to use while I learn and build transmitter and receiver circuits. This is going to be a good piece of gear to have. 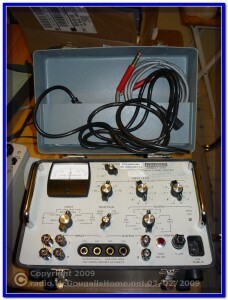 The following picture is a Wilcom Reference Level Test Set model T 105B. I believe it was used with phone systems. I purchased this gem for the case. It is a very nice case that has nice rubber feet, handles on the instrument face, buckles to keep the lid closed, and a rubber seal to help keep the elements out. It would make a very nice case for a piece of portable radio equipment that might be made some day for it. It looks like it will be a good source of some nice parts also. Here is another piece of Heathkit gear. 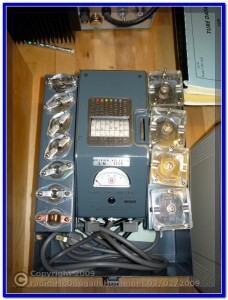 It is a model IM-5228 VTVM (Vacuum Tube Volt Meter). I really purchasedit for the meter movement and for parts. I might, however, keep it together as I do not have a good analog meter. I fired it up and it works, so I might keep it around for those times an analog meter will do better than a digital one. It will make a nice addition to my test gear collection. There was a few odds and ends that the club was trying to just get rid of. I just couldn’t let this one go to the dump, so I acquired it. I’m sure I will be able to use some parts of some sort from this box of goodies.